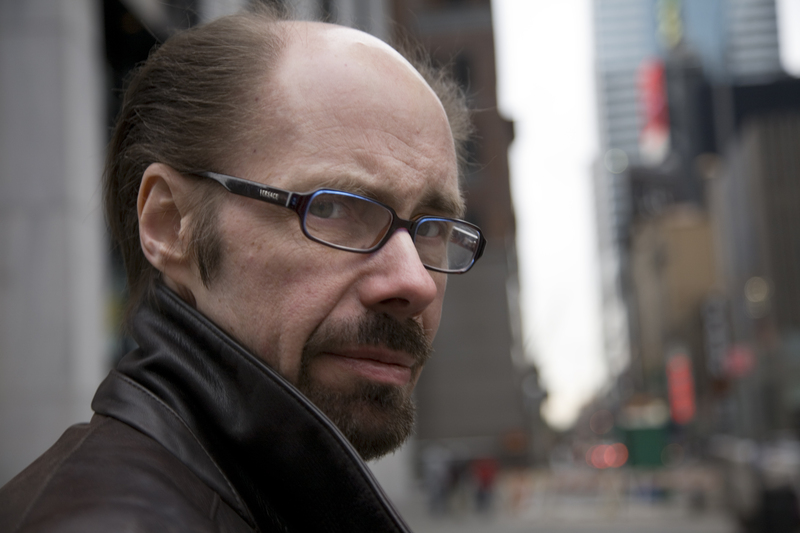 Jeffery Deaver, New York Times bestselling author of The Skin Collector and The Bone Collector featuring popular forensic detective Lincoln Rhyme, delivers a masterful thriller about a psychotic computer hacker/killer packed with stunning and fact-based technical details and signature Deaver plot twists. People in Silicon Valley are dying. A mysterious, psychotic, and brilliant computer hacker, code-named Phate, is infiltrating their computer, invading their lives, and—with the perfect line, the perfect, personal detail—luring them to their deaths. Desperate, the head of the Computer Crimes Division frees Wyatt Gillette, imprisoned on his own hacking charge, to aid the investigation. Gillette has wrangled with Phate before and is glad to have his chance for revenge. But when the head of the CCD, and the man who hired him, is murdered, Wyatt must report to Frank Bristol, a grizzled homicide detective who favors old-fashioned sleuthing and forensic evidence to track killers. Together, Wyatt and Bristol make an unlikely team but with the same villain in their crosshairs, they’ll have to learn to get over the generational, and technological, gaps. 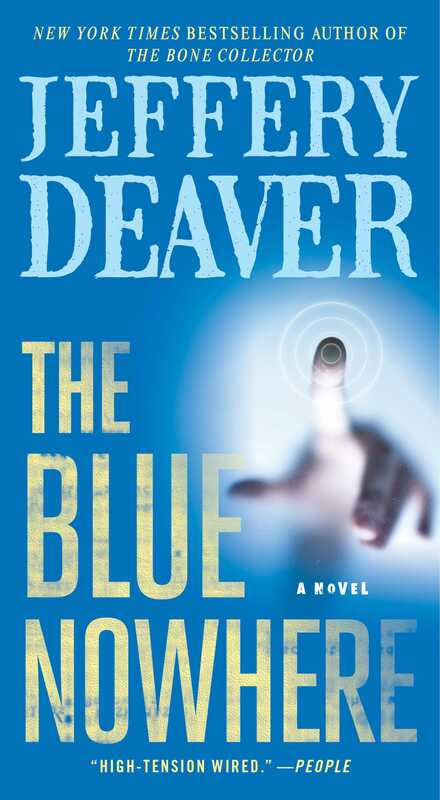 Filled with accurate technical details, a “high-tension wired” (People) mystery, and shocking surprises, The Blue Nowhere will keep you guessing the outcome to the very last page. Lara Gibson sat at the bar of Vesta’s Grill on De Anza in Cupertino, California, gripping the cold stem of her martini glass and ignoring the two young chip-jocks standing nearby, casting flirtatious glances at her. She looked outside again, into the overcast drizzle, and saw no sign of the windowless Econoline that, she believed, had followed her from her house, a few miles away, to the restaurant. Lara slid off the bar stool and walked to the window, glanced outside. The van wasn’t in the restaurant’s parking lot. Nor was it across the street in the Apple Computer lot or the one next to it, belonging to Sun Microsystems. Either of those lots would’ve been a logical place to park to keep an eye on her—if the driver had in fact been stalking her. No, the van was just a coincidence, she decided—a coincidence aggravated by a splinter of paranoia. She returned to the bar and glanced at the two young men who were alternately ignoring her and offering subtle smiles. Like nearly all the young men here for happy hour they were in casual slacks and tie-less dress shirts and wore the ubiquitous insignia of Silicon Valley—corporate identification badges on thin canvas lanyards around their necks. These two sported the blue cards of Sun Microsystems. Other squadrons represented here were Compaq, Hewlett-Packard and Apple, not to mention a slew of new kids on the block, start-up Internet companies, which were held in some disdain by the venerable Valley regulars. At thirty-two, Lara Gibson was probably five years older than her two admirers. And as a self-employed businesswoman who wasn’t a geek—connected with a computer company—she was easily five times poorer. But that didn’t matter to these two men, who were already captivated by her exotic, intense face surrounded by a tangle of raven hair, her ankle boots, a red-and-orange gypsy skirt and a black sleeveless top that showed off hard-earned biceps. She figured that it would be two minutes before one of these boys approached her and she missed that estimate by only ten seconds. The young man gave her a variation of a line she’d heard a dozen times before: Excuse me don’t mean to interrupt but hey would you like me to break your boyfriend’s leg for making a beautiful woman wait alone in a bar and by the way can I buy you a drink while you decide which leg? Simple as that. End of conversation. He blinked at her frankness, avoided her staunch eyes and returned to his friend. Power . . . it was all about power. In fact, that damn white van had brought to mind all the rules she’d developed as someone who taught women to protect themselves in today’s society. Several times on the way to the restaurant she’d glanced into her rearview mirror and noticed the van thirty or forty feet behind. It had been driven by some kid. He was white but his hair was knotted into messy brown dreadlocks. He wore combat fatigues and, despite the overcast and misty rain, sunglasses. This was, of course, Silicon Valley, home of slackers and hackers, and it wasn’t unusual to stop in Starbucks for a venti skim latte and be waited on by a polite teenager with a dozen body piercings, a shaved head and an outfit like an inner-city gangsta’s. Still, the driver had seemed to stare at her with an eerie hostility. Lara found herself absently fondling the can of pepper spray she kept in her purse. Another glance out the window. She saw only fancy cars bought with dot-com money. A look around the room. Only harmless geeks. Relax, she told herself and sipped her potent martini. She noted the wall clock. Quarter after seven. Sandy was fifteen minutes late. Not like her. Lara pulled out her cell phone but the display read NO SERVICE. She was about to find the pay phone when she glanced up and saw a young man enter the bar and wave at her. She knew him from somewhere but couldn’t quite place him. His trim but long blond hair and the goatee had stuck in her mind. He wore white jeans and a rumpled blue work shirt. His concession to the fact he was part of corporate America was a tie; as befit a Silicon Valley businessman, though, the design wasn’t stripes or Jerry Garcia flowers but a cartoon Tweety Bird. His plastic neckwear read Xerox Corporation PARC. She was impressed. Even nongeeks knew about Xerox’s legendary Palo Alto Research Center five or six miles north of here. A flash of white in the parking lot. Lara looked toward it quickly, alarmed. But the vehicle turned out to be a white Ford Explorer with a young couple inside. Her eyes focused past the Ford and scanned the street and the parking lots again, recalling that, on the way here, she’d glanced at the side of the van as it passed her when she’d turned into the restaurant’s parking lot. There’d been a smear of something dark and reddish on the side; probably mud—but she’d thought it almost looked like blood. “Sure. Sorry.” She turned back to him, glad she had an ally. Another of her urban protection rules: Two people are always better than one. Lara now modified that by adding, Even if one of them is a skinny geek who can’t be more than five feet, ten inches tall and is wearing a cartoon tie. Then, with a thud of alarm, she thought again about the van and the driver. The rusty smear on the battered door. . . .
Will gestured for the check and paid. Lara remembered shamelessly bragging about a biotech fund that had zoomed up 60 percent last year. “You bet.” Lara stared uneasily at the door as they walked toward it. It was just paranoia, she told herself. She thought momentarily, as she did from time to time, that she should get a real job, like all of these people in the bar. She shouldn’t dwell so much on the world of violence. Sure, just paranoia . . . But, if so, then why had the dreadlocked kid sped off so fast when she’d pulled into the parking lot here and glanced at him? Will stepped outside and opened his umbrella. He held it up for both of them to use. Lara recalled another rule of urban protection: Never feel too embarrassed or proud to ask for help. Never feel too embarrassed or proud to ask for help. They walked along the sidewalk in front of the restaurant and she checked out the cars. As in every parking lot in Silicon Valley there were dozens of Saabs, BMWs and Lexuses. No vans, though. No kids. No bloody smears. They walked past a stand of juniper and toward his car, a spotless silver Jaguar. Jesus, did everybody in Silicon Valley have money except her? He dug the keys out of his pocket. They walked to the trunk. “I only took two rolls at the wedding. But some of them are pretty good.” He opened the trunk and paused and then looked around the parking lot. She did too. It was completely deserted. His was the only car there. “Yeah,” he said. “The dreadlocks.” His voice was flatter, distracted. He was still smiling but his face was different now. It seemed hungry. “What do you mean?” she asked calmly but fear was detonating inside her. She noticed a chain was blocking the entrance to the back parking lot. And she knew he’d hooked it after he’d pulled in—to make sure nobody else could park there. Oh, Jesus, my Lord, thought Lara Gibson, who hadn’t prayed in twenty years.